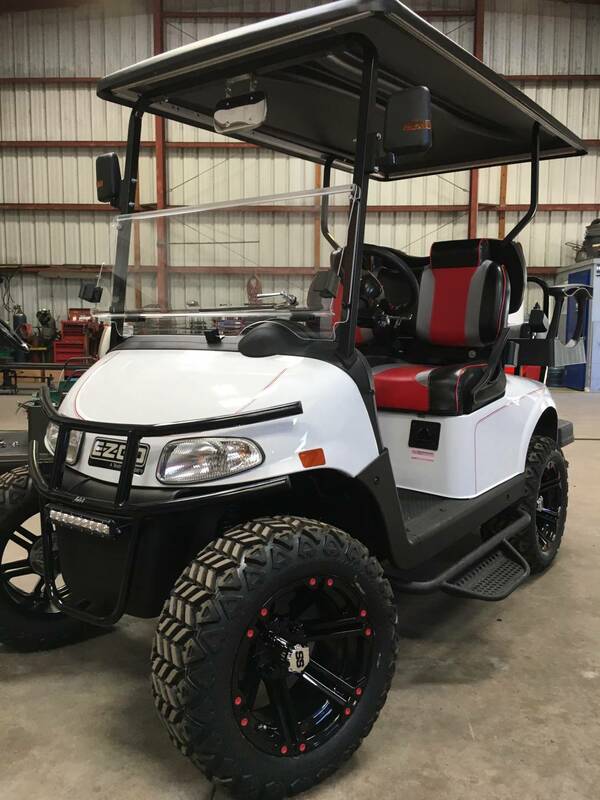 Custom Built EZGO, Lifted, 4Passenger White w/Red pin striping, brush guard, led light bar, step bar, upgraded tire/wheels,custom black, red gray seats, windshield, rear view mirror, folding mirrors, black top, custom steering wheel. Set up for street legal. Let us build yours today!! !